Moe Milne (Ngāti Hine, Ngāpuhi) is a puna of knowledge and has a wealth of experience having been involved in addressing mental health issues in the Māori community in her roles as a psychopaedic nurse and as a general and psychiatric nurse for over 40 years. She has contributed to Te Hau Marire, the national Māori addiction strategy, and developed several education programmes. 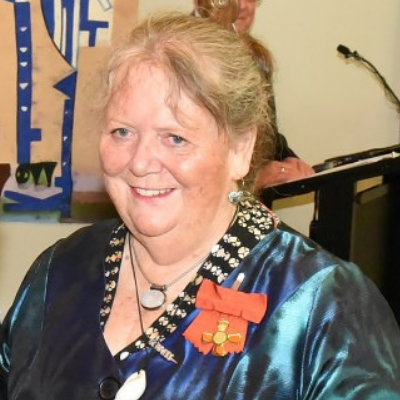 Moe was also a member of the Health Research Council, and she chaired the Māori health research group that developed Te Ara Tika to improve research ethics with Māori. She is part of the International Network of Indigenous Health Knowledge and Development and has spoken at conferences in New Zealand and overseas. Moe develops and delivers training in cultural competency within health services and is a member of the Māori committee of the Royal Australia and New Zealand College of Psychiatrists. She is known for her stance on te reo me ona tikanga, and has promoted te ao Māori perspective in mental health services, Māori workforce development, Māori health research, and Whānau Ora, while commonly at the forefront in the development of many new initiatives. Moe continues to be active in contributing to and ensuring high quality services are available for whānau, at all levels – locally, regionally and nationally. the role of te reo Māori in wellbeing, our connection to the taiao including reference to ngā Atua wāhine such as Hinemoana, and the importance of kai, wai, moe and kori tinana in maintaining mental health wellbeing.